The Mekong Delta province of Bến Tre will focus on aquaculture models that use advanced techniques and are biologically safe and environment-friendly, according to its People’s Committee. A plan it has drafted for the purpose envisages, by 2030, the maritime economy accounting for 30 percent of the overall provincial economy, including aquaculture. Among which, it plans to increase the area under aquaculture to 42,000ha and annual output to 136,000 tonnes. Around 5,100ha will be farmed using advanced techniques. All intensive farming areas raising key aquatic species will meet VietGAP or other international standards such as GlobalGAP and ASC. The province targets annual revenues of VNĐ450 million (US$19,400) per hectare from aquaculture by 2030. Cao Văn Trọng, chairman of the province People’s Committee, said to achieve the targets more investments would be made in infrastructure to develop aquaculture areas that use advanced techniques in the three coastal districts. Models that help adapt to climate change would be expanded, he said. The province has 11 seafood processing plants with an annual output of 72,000 tonnes, mostly frozen tra fish, clam and shrimp. The aquaculture area in the province has increased rapidly in recent years, with the key items being marine shrimp, pangasius and clam. More and more farmers and companies in the province are adopting good agricultural practice standards such as GlobalGAP and ASC standards for exports. 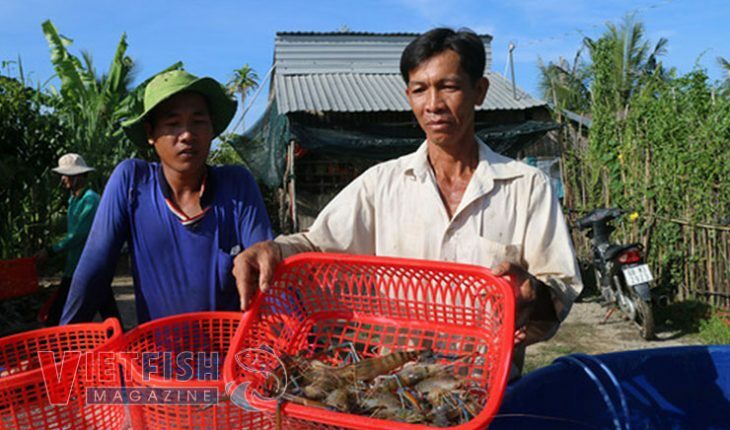 The province had nearly 22,000ha under black-tiger shrimp in the first quarter of this year, according to its Department of Agriculture and Rural Development. Fishermen’s catches totalled 48,569 tonnes in the first quarter, a 5.25 percent increase year-on-year. The department attributed the increase to the upgrading of fishing boats used for offshore fishing. The People’s Committee has ordered the Department of Industry and Trade and other relevant agencies to enable investors to quickly build the wind and solar power projects that have been licensed. With a coastline of 65km, Bến Tre has great potential in renewable energy, marine tourism, aquaculture, and fisheries.